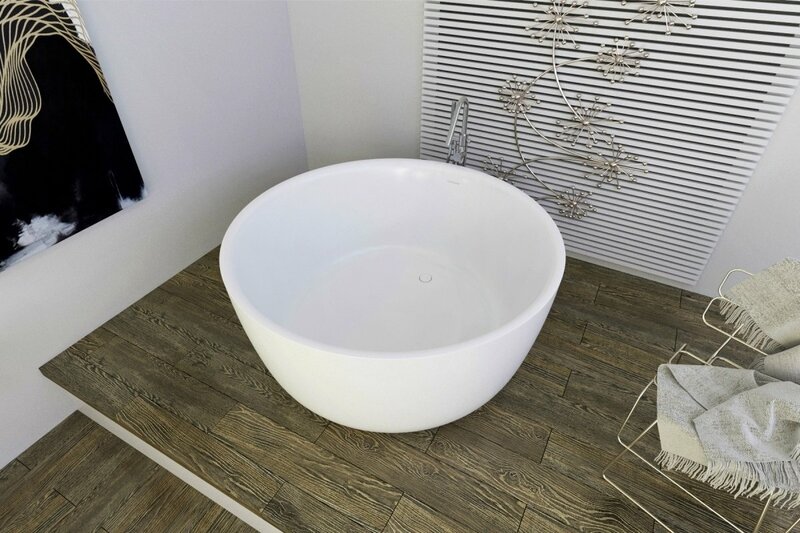 PureScape 720 is a minimalistic, freestanding, bowl-shaped tub, which has been hand crafted in Italy using Aquatica’s technologically advanced AquateX™ solid surface material. Its soft, velvety surface juxtaposes the material's unparalleled heat retention and durability. With a petite footprint of 53.25" in diameter, PureScape 720 is considerately designed for even the most compact of spaces.